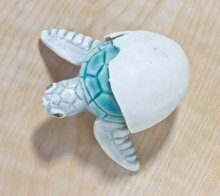 A tiny sea turtle makes its way out of the egg, towards the open sea. 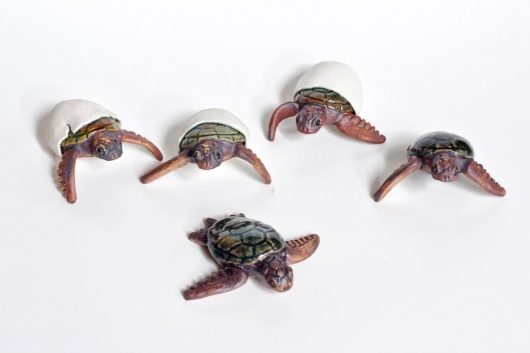 Each turtle is unique, although there are three basic varieties: hatching from the egg, swimming (with no egg), and an albino white variant of the swimmer. 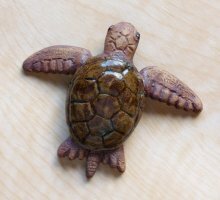 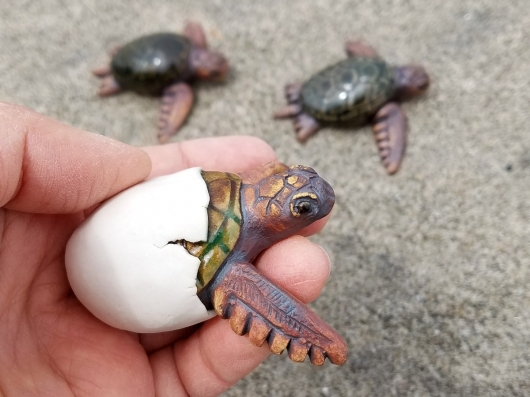 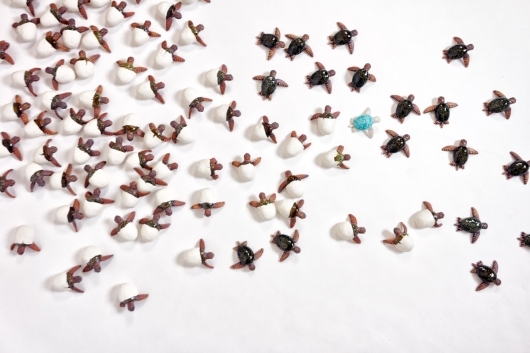 In July 2018, I sculpted 100 unique ceramic and porcelain sea turtle hatchlings to represent the 99% of hatchlings that are now born female at major nesting sites, due to rising sand temperatures during incubation. 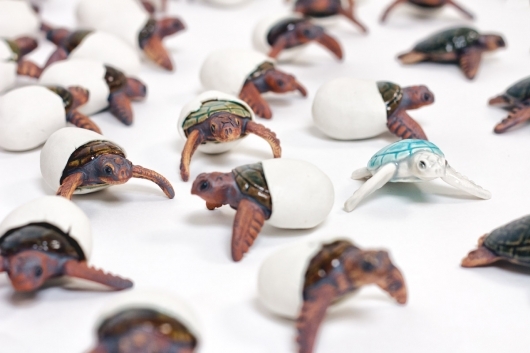 The 100 Turtles Project was unveiled at Fairweather Gallery in Seaside, Oregon. 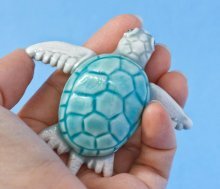 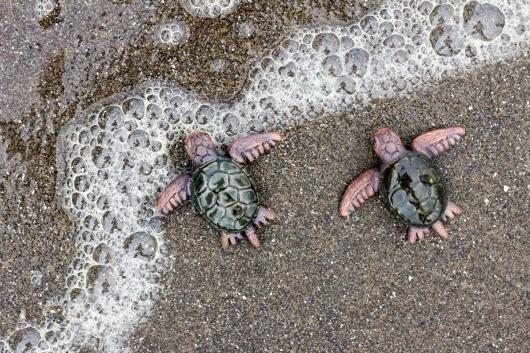 25% of profits from all turtle sales through July 31 supported SeaLegacy's ocean conservation efforts. 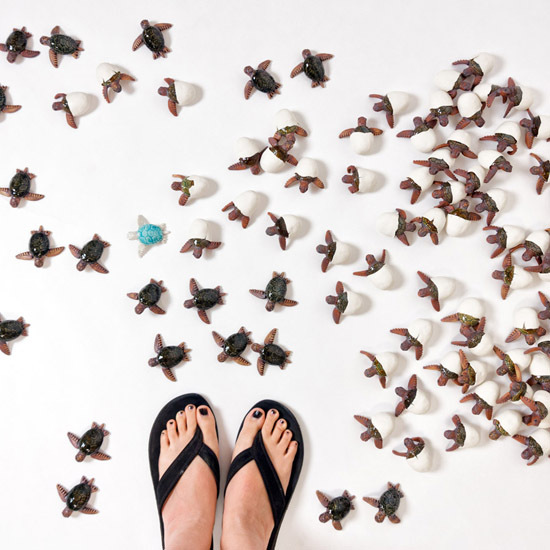 Come see all 100 turtles and hear their story, starting July 7!